Nishant Malkani, currently winning hearts through his role of Adhiraj in Star One's popular youth based television show Miley Jab Hum Tum, was born on 1st of September in 1987 in the country's capital:New Delhi. He came to Kolkata to study hotel management, but Fortune had other plans and he got into modelling. While travelling in a metro, a modelling co-ordinator spotted him and persuaded him to enter the world of modelling. Nishant got his portfolio done and then there was no looking back. He became a popular face in the city's modelling network and could be seen in commercials, print ads and of course, on the ramp. He was also offered a lead role in a Bengali film directed by Shankar Roy, but he couldn't take it up because of his studies. He is 22 years old, and has done his MBA from IIM-C. 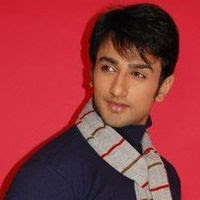 He made his debut on small screen in Miley Jab Hum Tum. His character is the cool hunk type, with girls crazy about him. His height is 6'2". hi this is varsha frm chennai.nishant has cool personality.his jodi with mona,suhani,and sanju rocks. hi dis is manaswi 4rom united states.i'v been watching ur programme ever since it was released.i really like u. u r really cute.i like da way u talk n i like ur innocent bhola bhala face. hi i am thirteen years old.. i live in trinidad...i love u nishant and sara.. u guys rock... i love ur show and u...my name is shenelle cena.. hi!!!!!!!! this is annu from baroda.i'm big fan of nishant.i love u nishant.u had great job done.keep rocking.muaaaaaaaaa. does Nishant have a girlfriend in real life.